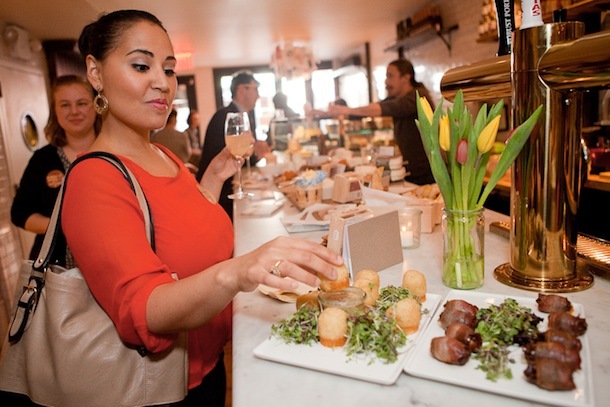 Last week, I attended a small reception at Murray's Cheese Bar down in Greenwich Village. The event was hosted by Vermont Creamery Butter & Cheese, a wonderful artisan cheese company that makes some of my favorite dairy products. As much as I loved tasting the different kinds of cheese on offering (Raclette! Cheesy Beignets! 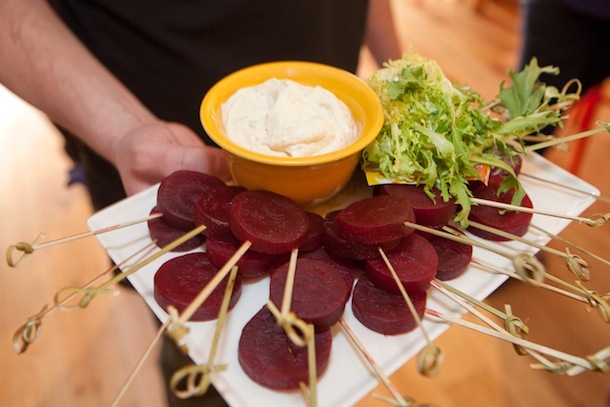 Beet & Goat Cheese Lollipops! ), my favorite thing about the event was the DIY Goat Cheese Favor Bar featuring their delicious chevre. It was such a pretty and clever idea that I instantly started taking photos of it to share with you. 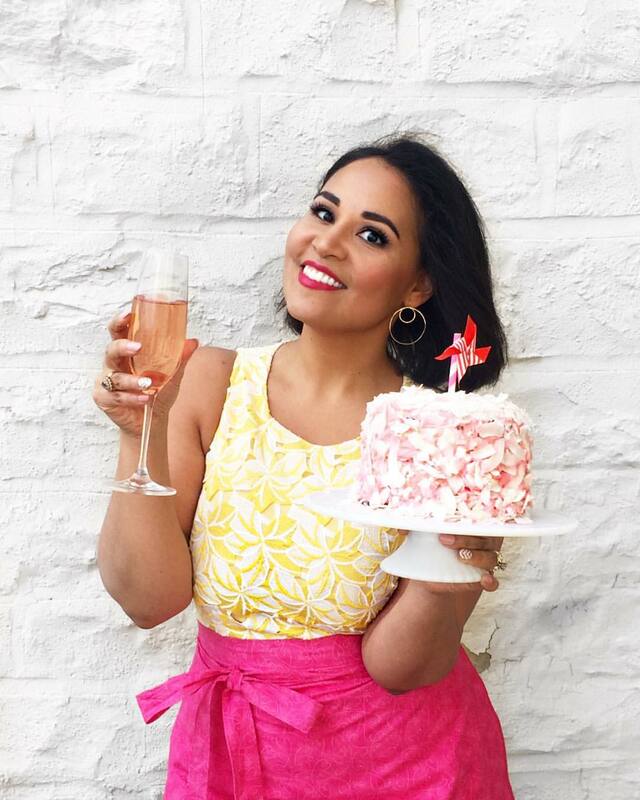 I think this would be a wonderful favor idea for a bridal shower, cocktail party, luncheon, or even a small wedding. It's a really creative and non-sugary alternative to the usual candy bar. 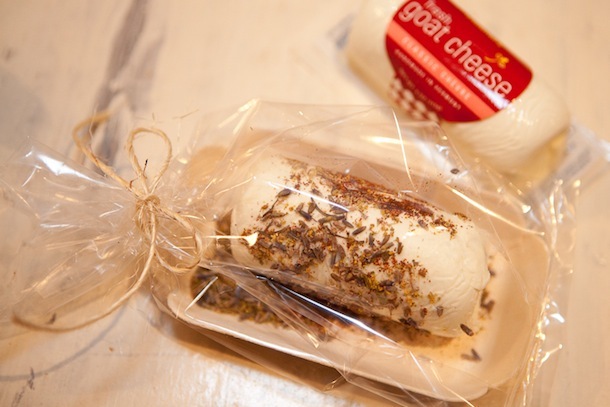 Set up a station with plain small goat cheese logs or buttons -- you can order them directly from your favorite cheesemaker or cheese shop (like Murray's! ), or request a large order in advance from your grocery store. Stores like BJs and Costco also sell these at a great price--I would get the large logs and then cut them down into small portions for each guest. Then provide bowls with an array of toppings, which can also easily be purchased in bulk online through a store like nuts.com. Think things that would go well with goat cheese like: lavender, chile flakes, brown sugar, dried rosemary, cinnamon, dried cranberries, cocoa nibs, crushed nuts etc. Offer up both sweet and savory options. Instruct your guests to combine the toppings in a small tray and then roll the cheese over it to create an artful log. Non-latex gloves are a good idea to keep your guests from getting cheese and toppings all over their hands! 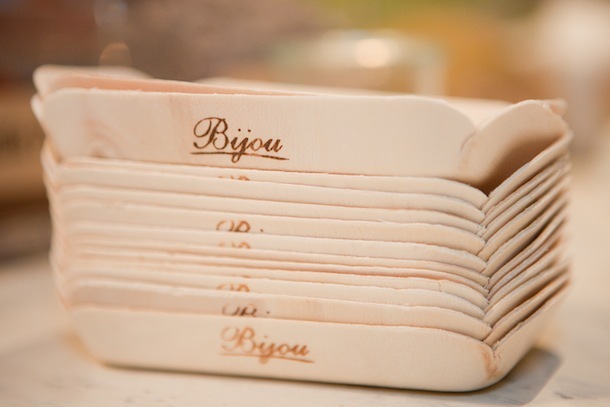 Provide small cartons or clear cellophane bags for the guests to package up their goodies. Bits of twine or raffia also add a nice touch! These can be easily found at a crafts store like Michael's. You can even go a step further and gift each guest a small inexpensive cheese knife, a box of crackers, or tiny bottle of honey to drizzle over the cheese at home. And that's it! 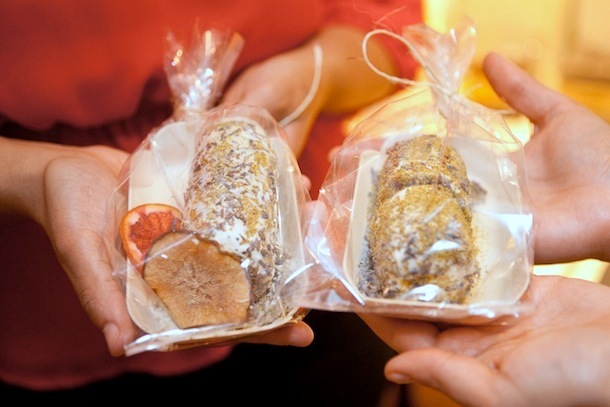 Each guests gets to go home with a unique and personalized treat that they can enjoy at home with a nice loaf of bread and a glass of wine. 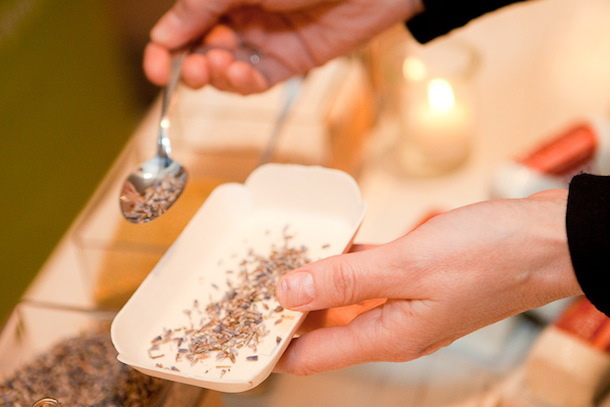 At the Vermont Creamery event, I chose to roll my goat cheese log in a combination of lavender buds, fennel pollen, and shredded coconut. Topped with a bit of honey at home, it's been a delicious treat to spread on crackers and warm crusty loaves of bread. What do you think about this idea? Would you try it? 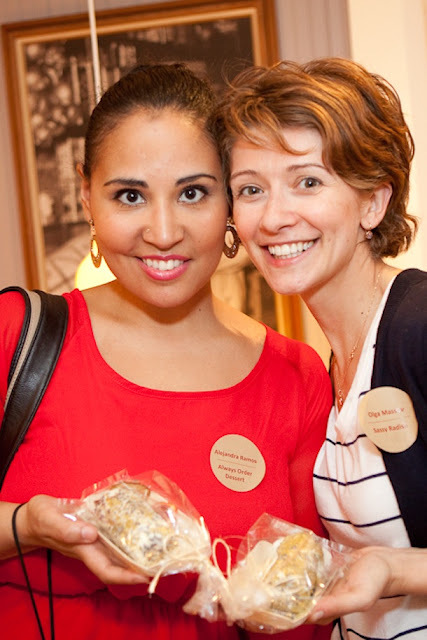 Photo Credit: Photos of me, the beet lollipops, the finished favors, and the Bonne Bouche trays taken by Rachel Gardam.